The Victorian era heralded many a trend in the world of gin. Old Tom springs to mind these days as part of a resurgence in all things classic, but the team behind top bars such as The Worship Street Whistling Shop have launched a gin that is inspired by the cream gins of the Victorian gin palaces. 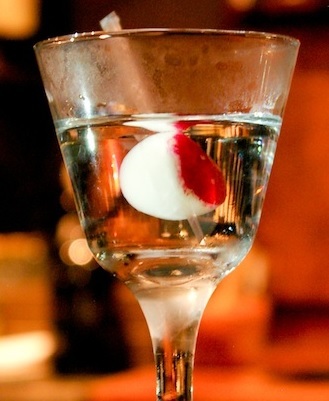 The base of one of their signature cocktails, The Black Cat’s Martini, the team developed the Worship Street Whistling Shop Cream Gin at the bar by using fresh cream that macerated into a citrus gin base selected specially for the product. It’s then cold-distilled under vacuum. 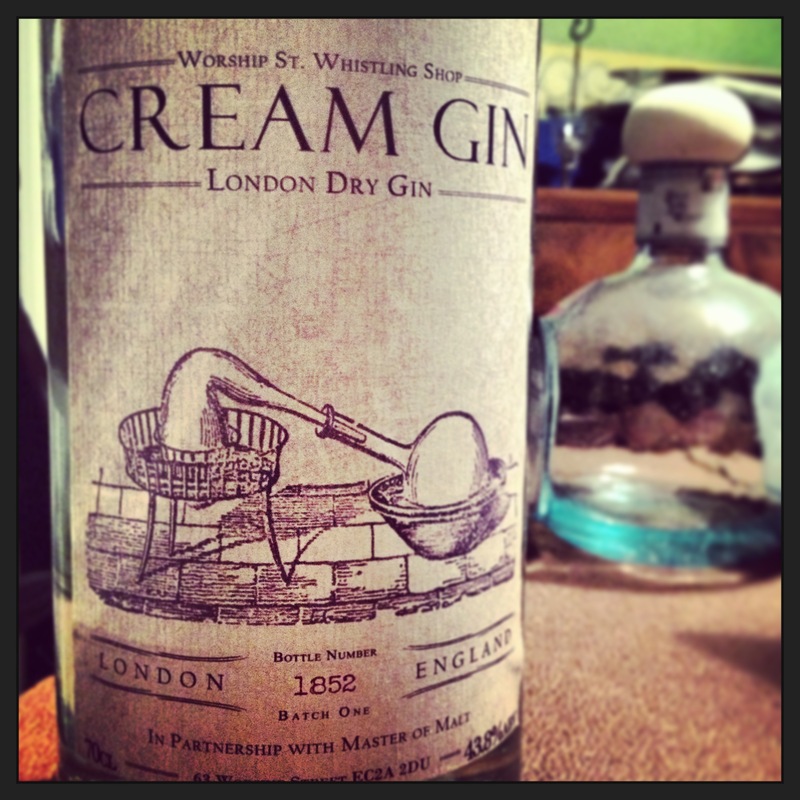 Essentially, the cream is a botanical to create a rich, creamy yet clear spirit, using 100 ml of cream per 70 cl bottle. This process slightly differs to the original Victorian method of mixing with cream and sugar and then left to infuse. Heavy vanilla on the nose but levels out with aromas of soft, fresh cream. The palate experiences a creamy, velvet texture with a very soft beginning. Develops into a slight sweetness but with an ultimate lingering pepper ending. Fill a mixing beaker or pint glass with ice and pour in the Dry Vermouth. Next add the Cream Gin and stir for 45-50 seconds to chill and dilute the Martini. Strain the mixture into a chilled Martini glass and garnish with a radish. Put a pinch of Vanilla Salt into a shaker with the Olive Oil, Lemon Juice, Cream Gin, Sugar Syrup and the Egg White. Next, shake the mixture to aerate it and the egg white starts to foam. Add ice to the shaker and shake vigorously until condensation appears on the outside of the shaker. Strain into a glass and top up with the Soda Water. Snap and twist the rind of a lemon and place on top. Finally a pipette of Vanilla Bitters can be added to release more flavour. The unusual can sometimes be the best, Master of Malt prove that, plus if the Victorians loved it, why can’t we? !